Market Rasen Town’s miserable season continued on Saturday with a 4-0 home defeat to Nettleham. 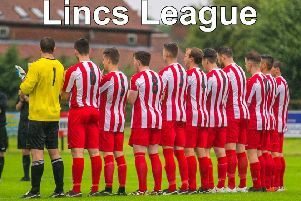 Ruston Sports’ withdrawal from the Lincolnshire League, hot on the heels of previous basement side Harrowby, left Town bottom of the pile and their mood was not lightened by an 18th league defeat in their last 19 matches. Samuel Triffitt’s goal put the visitors ahead at half-time before Liam Kirshere added a second-half hat-trick. Rasen end their season tonight (Wednesday) with a home match against CGB Humbertherm (ko 6.30pm).